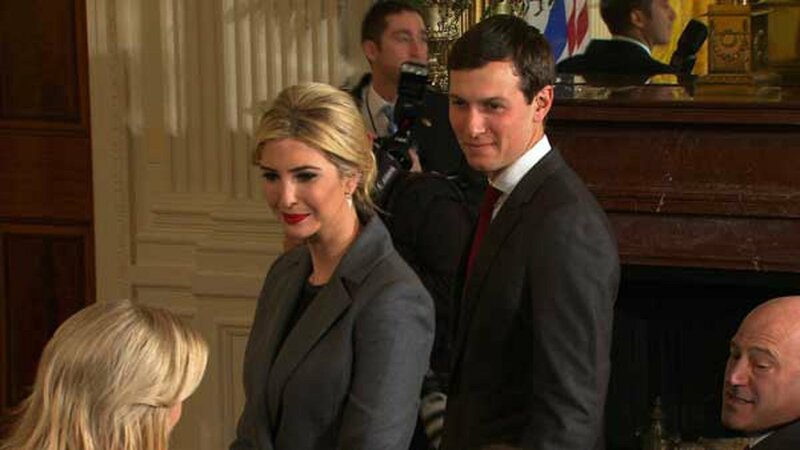 WASHINGTON -- President Donald Trump's son-in-law, Jared Kushner, will lead a new White House office aimed at reforming the federal government through private-sector solutions. On Monday, Trump will announce the establishment of a White House Office of American Innovation, which will be tasked with crafting ideas to reshape the federal bureaucracy to make it leaner and more effective, a White House official confirmed to CNN. The office will look to build on Trump's campaign promises to apply a business mentality to the federal government, which Trump has often decried as overly burdensome. The announcement was first reported Sunday night by The Washington Post. A White House spokesperson confirmed the new office would be announced on Monday, but declined to provide additional details about its mission. "All Americans, regardless of their political views, can recognize that government stagnation has hindered our ability to properly function, often creating widespread congestion and leading to cost overruns and delays," Trump said in a statement to the Post. "I promised the American people I would produce results, and apply my 'ahead of schedule, under budget' mentality to the government." The move asserts even further Kushner's already broad portfolio within the West Wing, where he has an influential purview over a range of both foreign and domestic policy issues. The new office will look to churn out new ideas to reform the federal government, with Kushner proclaiming to the Post that "we should have excellence in government." "The government should be run like a great American company," Kushner told the newspaper.